Ukraine is currently in the process of complex implementation of the reforms, based on decentralization of power and empowering communities (Udovychenko et al, 2017). This directly affects the transformation of tools and mechanisms in the development of Ukrainian cities which require comprehensive studies and strategic vision (Thomann, 2015, p.196). In this context, over the last decade Ukraine has seen rising interest in the use of strategy in general and strategic (spatial) planning in particular (see Albrechts, 2004; 2015). However, the approaches to planning which have originated in the “global North” are frequently based on assumptions regarding urban contexts which do not hold elsewhere in the world (and often no longer in the North as well) […] (Watson, 2009). Also, the process of elaborating and introducing spatial development strategies in Ukrainian municipalities reveals hidden challenges of direct applying Western European best-practices and approaches to the local context with its specific socio-political and planning systems inherited from the Soviet past and significantly adapted to the market-driven transformations started after the collapse of the USSR. Based on the above-mentioned, the research project “Transfer mechanisms of strategic spatial planning to post-Soviet cities: The case of Integrated Urban Development projects in Ukraine” is focused on the study of urban policy mobilities (see McCann and Ward, 2011; Clarke, 2012; Temenos and McCann, 2013; Baker and Temenos, 2014) for understanding the process of transferring strategic spatial planning — an approach which has been elaborated elsewhere and introduced in the specific context of contemporary Ukrainian cities. 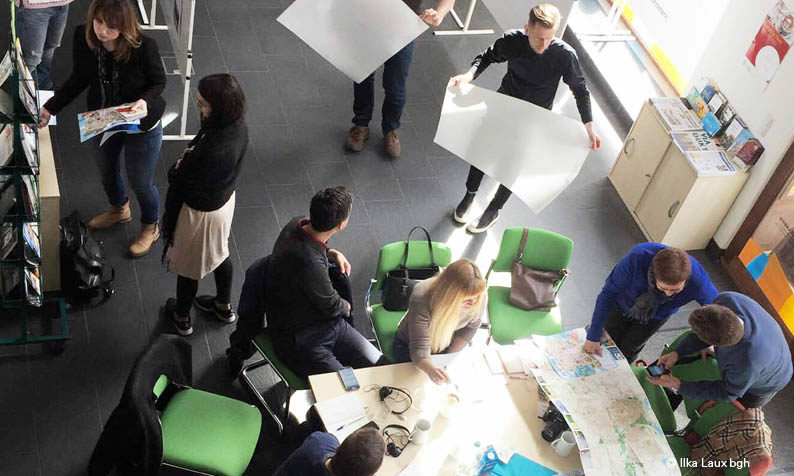 In particular, the PhD research will be focused on the study of the transfer of strategic spatial planning and integrated urban development in the framework of German-Ukrainian and Swiss-Ukrainian cooperation in the 2000s. The processes and mechanisms of urban policy mobilities will be considered in the context of post-Soviet transformations in Ukrainian cities, specifically connected to the reforms, based on decentralization of power and empowering communities (Udovychenko et al, 2017).